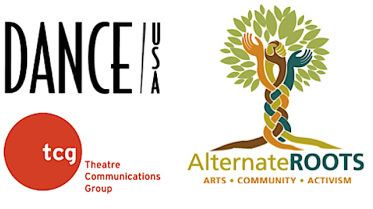 EMCArts selected three arts development organizations, Alternate Roots, Dance USA, and Theatre Communications Group (TCG) from across the country to participate in the Innovation Lab for Arts Development Agencies, a unique immersion program to examine membership, governance, and organizational structures. Playwright Jacqueline E. Lawton was selected as one of TCG's Team Members alongside Teresa Erying (Executive Director, TCG), Kevin Moore (Managing Director, TCG), Jennifer Cleary (Director of Membership, TCG ), Jamie Martinez-Rivera (Membership Associate, TCG), Patrick Willingham (Executive Director, The Public Theatre), Kate Lipuma (Executive Director, Writers' Theatre), Neil Kutner (Production Manager, Brooklyn Academy of Music) and Max Leventhal (Owners’ Representative, Woodruff Arts Center). Since 2008, EmcArts has been supported by the Doris Duke Charitable Foundation to design and run the Innovation Lab for the Performing Arts. To date, the Lab has focused primarily on producing and presenting organizations in the arts and culture field. Now, EmcArts is beginning to engage with the adaptive challenges of organizations that do not produce or present the performing arts, but rather provide services in support of the ongoing development of an arts discipline, its organizations and practitioners, or of a particular area of arts activities (defined, for instance, geographically, or by theme – such as arts and disability). Given the wide and diffuse range of organizations of these types, we call them collectively “arts development agencies.” We have launched a pilot round of a new Innovation Lab for Arts Development Agencies, in order to work in practice with the field to test and further refine our approach. The pilot Lab is designed in four phases over approximately 18 months. In Phase 1, seven organizations took part in a four-­‐‑month process of organizational self-­‐‑examination and assessment focused on adaptive change possibilities. From that pool, three organizations have now been chosen to continue work in Phases 2 – 4, where they will design and prototype innovative strategies and launch real-­‐‑life projects that address major adaptive challenges that they have identified. Click here to read the full press release and here to download project summaries. Recognized as a leading nonprofit provider of services in innovation and adaptive change to the arts sector nationwide, EmcArts serves as a nonprofit intermediary for arts funders, and as a re-­‐‑granting agency and service organization for the arts field around innovation. Our innovation programs support the development and implementation of mission-­‐‑centered new strategies by arts organizations of all sizes. The programs range from directly incubating specific innovation projects to introductory programs that enable new thinking and build adaptive cultures across local arts communities. EmcArts is a 501(c)(3) organization.